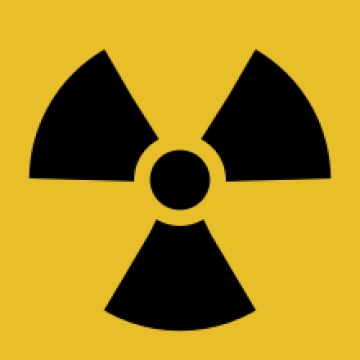 A sixty year legacy of cancer and mutilation plagues the US nuclear program. It started with the Manhattan Project and the DOE still woos construction, security guards and others who will die as a result of their work. Although Jeff Walburn and Charles Lawson's vetted documents relate to the PGDP , there are cover ups nationwide from Hanford to Savannah River and from Pittsburgh to Nevada. Lawson and Walburn have appeared on nationally broadcast radio detailing their odyssey, which has been reiterated and reiterated but discredited by the Department of Energy. In 1999, Jonathan Riskind, a reporter for the Columbus Dispatch Washington Bureau, spent a month interviewing workers and management about risks at the plant. Unfortunately, the stories of these rust belt radioactive wastelands have been mostly ignored, except for an occasional collection of "polluters" assembled by major publishers such as USA Today and the Wall Street Journal. When Ken Estep was suffering from a rare form of liver cancer in 1985, management at the Portsmouth Gaseous Diffusion Plant (PGDP) refused his request for early retirement at 42. His widow, Barbara Barker, received NOTHING , except a visit from a representative of Goodyear Atomic (which then ran the plant) to "go through his billfold and claim items the company regarded as proprietary, such as an employee identification card," the Dispatch reported. One of the plant's first enrichment-process operators, who succumbed to leukemia in 1965 at age 32, five weeks after his diagnosis. His widow says workers never were told of the potential health dangers. 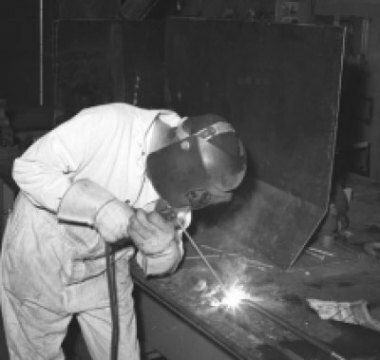 A former welder who recalls being told to repair pipes oozing green and yellow liquid. His gloves set off radiation alarms afterward. Medical tests now show many cells in his body are predisposed to cancer. Another former plant worker who -- without protective gear -- helped clean up a major spill of uranium hexafluoride in 1978. Earlier this year, at age 71, he lost a kidney to cancer and had cancerous tumors removed from his bladder. "It is imperative that GAT (Goodyear Atomic) develop procedures for protecting the health of employees who are exposed to these highly toxic and radioactive substances,'' the July 29, 1976, memo said. The memo indicates that the material was being handled at Piketon's oxide-conversion plant -- where the spent reactor fuel was turned back into uranium hexafluoride that could be enriched again for use as nuclear fuel -- even before appropriate safety measures were in place. A 1962 Goodyear Atomic memo obtained for the report used "housekeeping problems" as a euphemism for contaminated areas which told trades foremen: "We don't expect or desire that the philosophy will be openly discussed with bargaining unit employees." Workers ate, drank and smoked in contaminated areas. "Working in only his plant coveralls and regular boots, Estep helped pile snow on the mixture of natural uranium and fluoride as it gushed out in its liquid form. The next day, the plant locker containing his clothes was gone. About 10 days later, he broke out in a prickly body rash, his widow said, but managers dismissed his concerns." Charles Gary Meade, one of the plant's first enrichment process operators, died in 1965 of leukemia five weeks after diagnosis. His widow, Dorothy Hardin, then kept his boots in the attic. Her late husband left them there to keep them away from children. 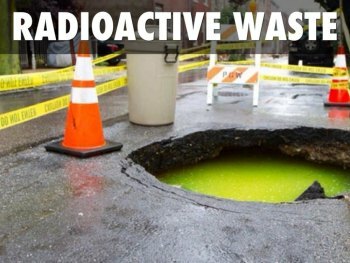 He thought they were radioactive. "It was a great cover-up," Hardin said. "They told them the stuff was safe enough to eat." Charles Stapleton helped clean up the 1978 spill. He drove a truck from 1977 to 1990. In the 1999 report he told of "a trained cleanup crew donning protective gear and gas masks... other workers toiled without protection." Stapleton then said, "My throat hurt like I breathed battery acid the next day," but plant managers made fun of employee complaints during a meeting. Stanley McNelly, a retired janitor was 79 when he told Riskind how he was using the bathroom when a siren went off. When he rushed outside, he was "enveloped by a toxic cloud. "There was nothing but fog and I coundn't see," McNelly said. "They took me to the hospital and said nothing was wrong with me. But for a year I coughed and coughed . It was like a butter bean, clear as crystal, and I could not spit it out of my mouth. I had to take it out with my thumb and finger." The 1978 spill sent 22,000 pounds of uranium hexafluoride in all directions from the ruptured canister, sending a plume of toxic fog into the air. Uranium hexafluoride is "bad stuff" . It's one of the "building blocks" of a nuclear weapon. When inhaled depending on the level of exposure and degree of enrichment. Severe respiratory damage or death. And experts said the fluoride caused severe harm too: "After it hits the air and turns into uranyl oxyfluoride and hydrofluoric acid, both highly toxic chemical agents," said Ronald Kathren, former director of a federally funded study of people exposed to radioactive materials. Kathren also is a professor emeritus at Washington State University. Hundreds of releases occurred, the workers said in 1999. The plant managers' report about the 1978 incident -- which stated that no one was injured -- described such releases of uranium hexafluoride as routine. Bob Schaeffer of the Washington- based Alliance for Nuclear Accountability said expedience and the willingness to sacrifice health for national security played a role, along with ignorance. "The gaseous diffusion process involves passing uranium in gaseous form, uranium hexafluoride (UF6), through thousands of stages that favor the passing of the lighter isotope U-235 and restrain that of the heavier isotope U-238. This series of stages is called a cascade, which is essentially a uranium enrichment machine, housed in three enormous buildings. First, UF6 is fed to the cascade in large cylinders. Then, the enriched U (product) is retrieved at the top, whereas the depleted uranium (tails) is collected at the bottom of the cascade. The product and the tails are stored and transported in the same cylinders as the feed....."
Little Beaver Creek, the Scioto River and the Ohio River received quantities of radionuclides, heavy metals, and by products that came from unlined landfills on the Piketon property. Remediation recovered 4.36 million pounds of these contaminants from the soil. During the Ralph Nader show interview, Walburn and Lawson essentially again asked: Will DOJ, Congress Investigate Up to 70,000 Portsmouth Diffusion Plant Dosimeter Readings "Changed?" Now, Nader and others stand beside them.